antique sewing machine - L'Incomparable. We are not too familiar with the French-sounding "L'Incomparable". 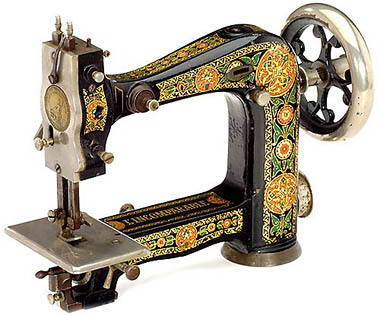 However, we believe this finely decorated machine follows a patent by Willhelm von Pittlers.